You may spend a lot of time on the road reading maps, trying to find your way to the next business meeting or appointment. Or you may be that lucky soccer mom, rushing the kids off to team practice. You can't afford to be late in either case to upset your client or the coach. 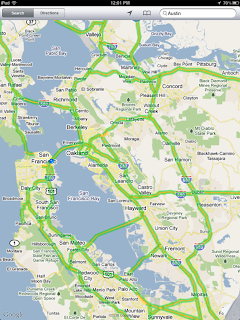 How can you check on the traffic conditions along the way of your route? There's really no need to arrive late! Open Maps, tap the curled page icon in the lower right, and then tap your preferred map display. 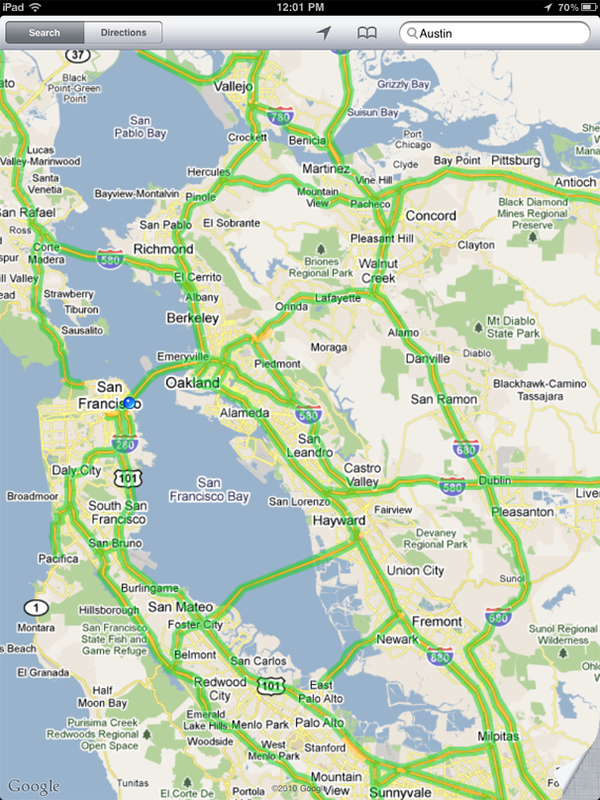 Maps will show real-time traffic conditions in the displayed area. Green means traffic is going at the speed limit, yellow means traffic is slower than the speed limit, and red means traffic is just not moving!